The ongoing constitutional crisis between Spain and Catalonia will now likely result in the mythical “Article 155” being invoked by the Spanish government in a bid to bring the region’s pro-independence government to heel. Here, CNBC explains just what Article 155 is and how it could affect Spain and Catalonia’s futures. The term Article 155 has been thrown about in media reports as the Catalania crisis has grown. It has come to signify a powerful weapon in Spain’s arsenal that Madrid can use to stop the separatist movement in Catalonia from pursuing a unilateral secession from Spain. Article 155 refers to the section within Spain’s constitution where it states that any largely autonomous community must fulfill its obligations to the Spanish state, or else risk having its powers taken away. In plain English, the article means that if a self-governing community, like Catalonia, has acted in any way to undermine the interests of Spain, the national government will “take all measures necessary” to force it to meet its obligations to the state. How does invoking Article 155 work? On Thursday, Spain’s central government said that it will move to suspend Catalonia’s autonomy after the regional leader failed to drop a bid for independence. In a statement on Spain’s government website on Thursday morning, Madrid said that the Catalan leader Carles Puigdemont had refused to comply with a request to formally declare whether the region had declared independence. Consequently, it said it would “continue with the procedures provided for in Article 155 of the Constitution to restore legality in the self-government of Catalonia.” Meaning, the government is set to meet on Saturday to propose measures to strip Catalonia of some powers and officially trigger Article 155 of the Constitution. Article 155 has never been invoked before but as tensions have grown between Spain and Catalonia a constitutional crisis has become more of a possibility. Article 155’s effects would not be felt for several days due to it requiring approval from the upper house of parliament, the Senate. Rajoy would have to submit a list to the Upper House detailing the specific actions that the government is planning to take under Article 155. This list is also sent to a separate committee within the Senate that deals with autonomous communities, like Catalonia, before finally being debated by the Senate. A majority is then required to approve the proposals the Spanish government has suggested. 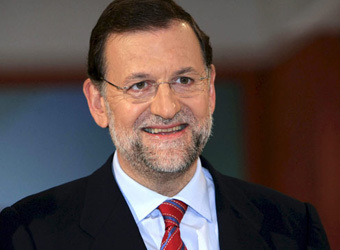 Currently, Rajoy’s People’s Party has a majority in the Upper House meaning the proposals should pass. Given the unprecedented nature of the situation it’s still unclear how the Catalan government will respond to Article 155. It’s also uncertain how Madrid would actually go about seizing powers from Catalonia. While taking control of its police force and ousting local officials are possibilities there could be a public backlash if it tries to do so. Analysts were unsure about what specific measures the Spanish government could take, but expected the situation to deteriorate. “The list of measures that Rajoy might take under Article 155 remains unclear, but it is likely that he would use it to trigger early elections in the region at some point before the end of the year,” Barroso said. Marco Protopapa, an economist at JPMorgan, agreed that it was difficult to know exactly what measures the Spanish government could take. “It is hard to predict the intensity of the central government response with Article 155 and the law of national security. We expect a gradual approach, which might involve the trial by the constitutional court of the leaders of the Catalan government for sedition and rebellion, and the automatic suspension from their functions,” he said in a note Wednesday. Protopapa believed disorder was “very likely, but it will be important to watch intensity and duration” and that the crisis was nowhere near over. “Even though we continue to believe that Catalan independence remains only a remote tail risk (due to the economic damage it would involve), we expect things to remain very uncertain for a long time. Over that period of time, things may get worse before they get better,” Protopapa warned.